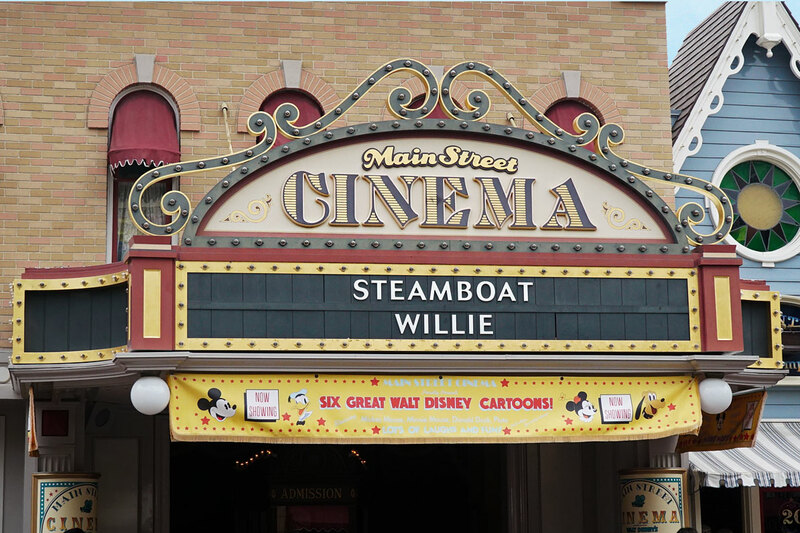 Only at Disneyland CA, will you find the Main Street Cinema in its original form. 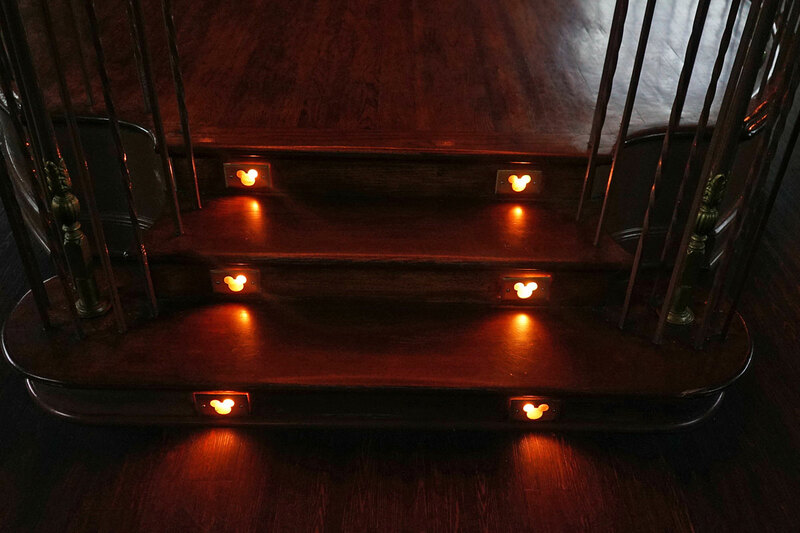 Entering this stylish Victorian brick building, you will be transported back to the golden age of cinema, where you can view vintage animated shorts on six different screens. A second version operated at WDW's Magic Kingdom until it was transformed into a gift shop in 1998. 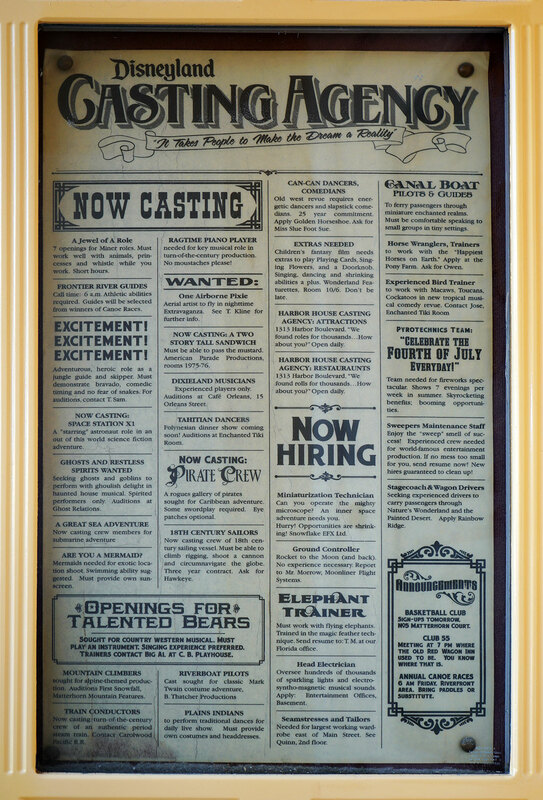 The headliner is the original 1928 Steamboat Willie, which introduced the world to Mickey Mouse. When the cinema first opened in 1955, it showed a variety of silent movies and vintage news reels. 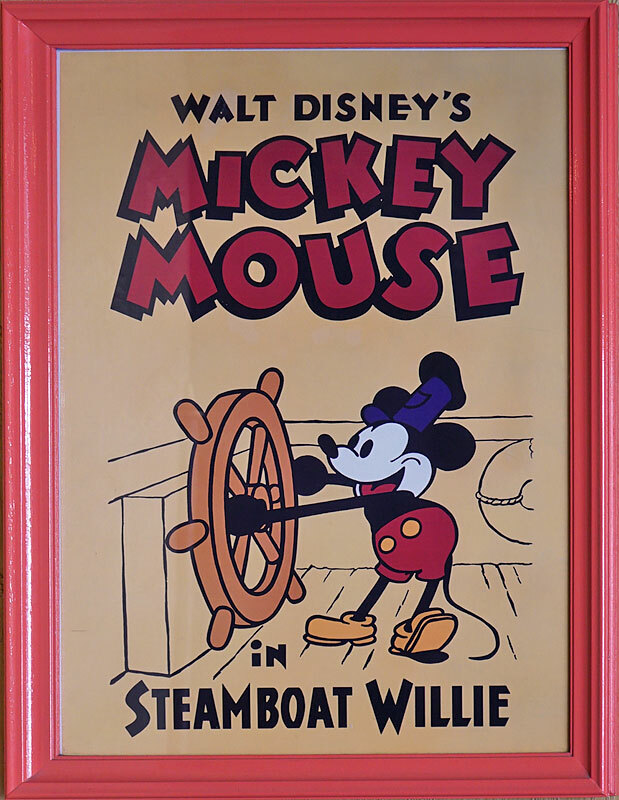 It wasn't until the 1980s that the cinema stopped showing live action films and only showed Disney shorts, including Steamboat Willie. 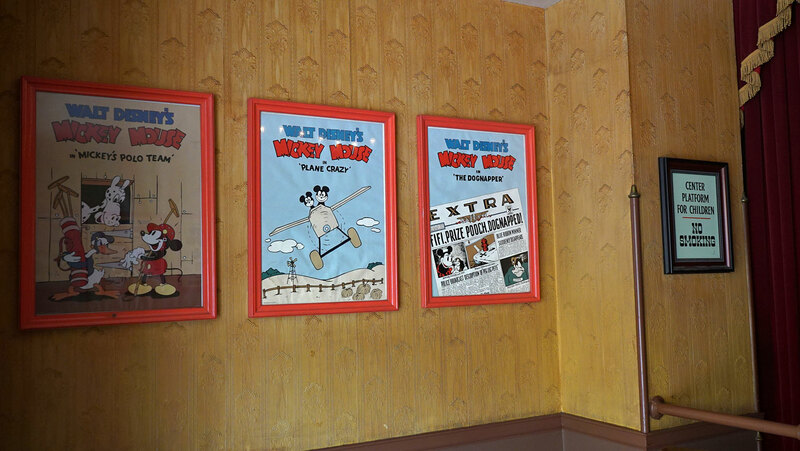 Small posters from each film hangs in the entry way to the theater. Guests are greeted by Tilly, the ticket seller. According to her name tag, Tilly is from Marcelaine, Missouri, Walt Disney's boyhood home. 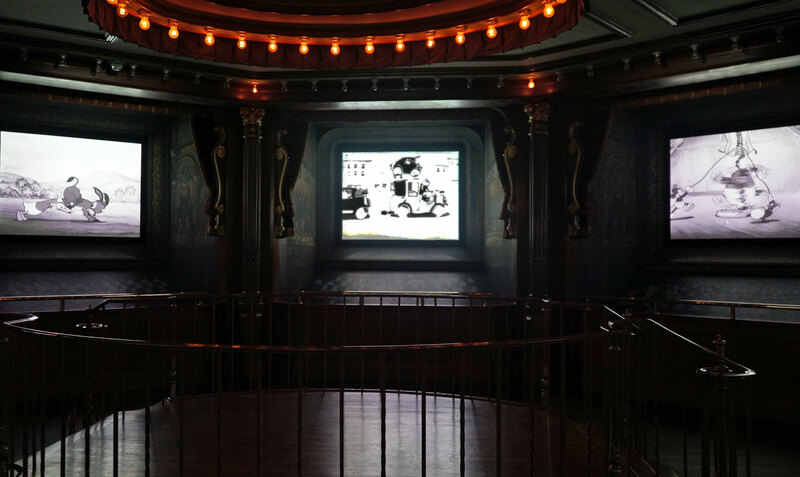 The wood-paneled interior is round shaped, where the audience stands in the center, surrounded by six projection screens that all play simultaneously. A raised platform in the center gives kids (and short people) a better view. Steamboat Willie, released in 1928, marks the birth of Mickey Mouse. 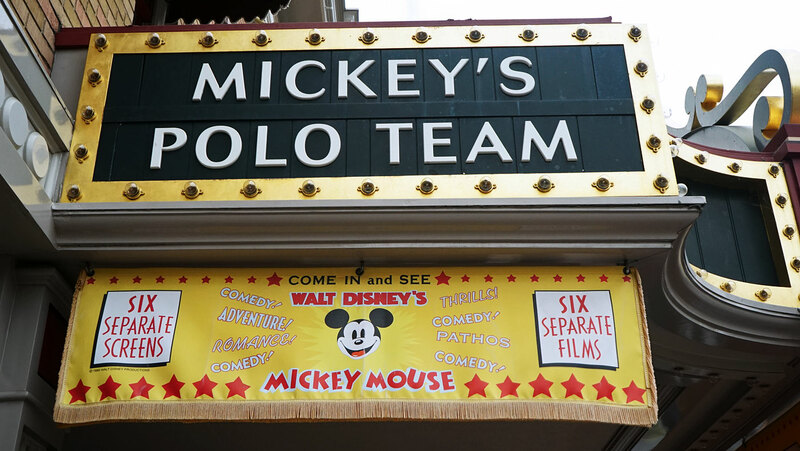 One of the most entertaining of the six shorts is "Mickey's Polo Team." It features a wild game of polo between the "Mickey Mousers" - Mickey Mouse, Goofy, Donald Duck, and the Big Bad Wolf, vs the "Movie Stars" - Stan Laurel, Oliver Hardy, Harpo Marx, and Charlie Chaplin. Cameos include Shirley Temple, Charles Laughton, W.C. Fields, Clark Gable, and many more. The video below features the film in its entirety. Great cartoon. Thanks for the video. I actually chuckled out loud when 'Oliver Hardy' got stuck with the pin. Cute how they made the horses (and donkey) reflect their riders. I recognized most of the celebs, but not all. I saw Harold Lloyd in the stands along with the others that you mentioned. I wonder why they didn't show the cartoon in its original Technicolor? Probably because everyone would be standing around watching Mickey's Polo Team in glorious color while ignoring all the B&W shorts. 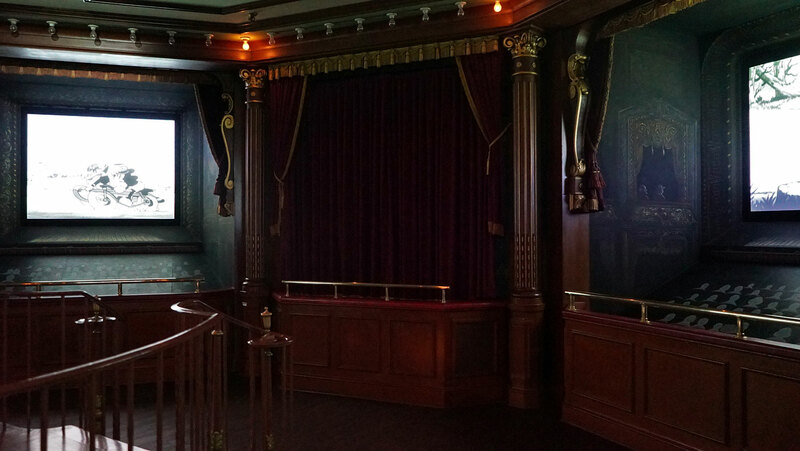 I could be wrong, but I'm pretty sure that Disneyland was showing cartoons in the Main Street Cinema as early as the mid 1970s. 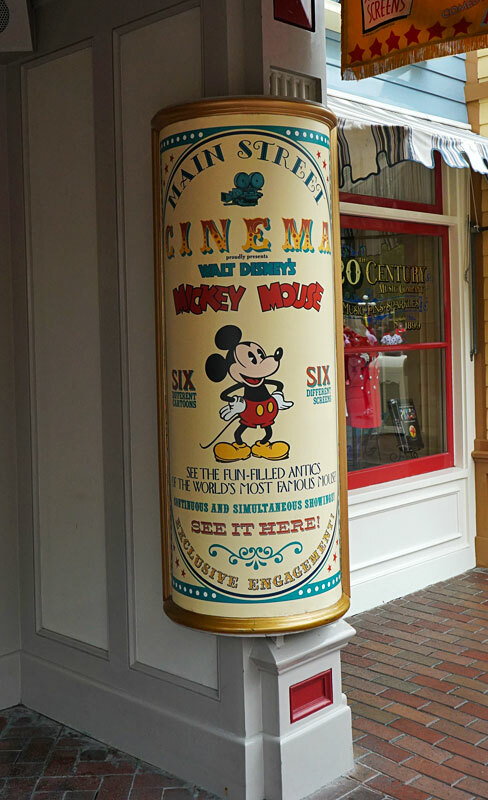 We were there in '76 and I remember standing in the dimly lit cinema, surrounded by all the screens, watching Steamboat Willie in its entirety. I don't remember the raised platform, though. We went to WDW the next year ('77) and now I tend to merge the memories of the two parks after all these years. The reason I don't think it was in Florida is because we were pressed for time (only 2 days) so I don't think we spent any time at all on WDW Main Street. I could be wrong, but I'm pretty sure that Disneyland was showing cartoons in the Main Street Cinema as early as the mid 1970s. We were there in '76 and I remember standing in the dimly lit cinema, surrounded by all the screens, watching Steamboat Willie in its entirety. Well, according to my sources, they exclusively showed Disney shorts starting in the 80s, discontinuing any live action shorts. 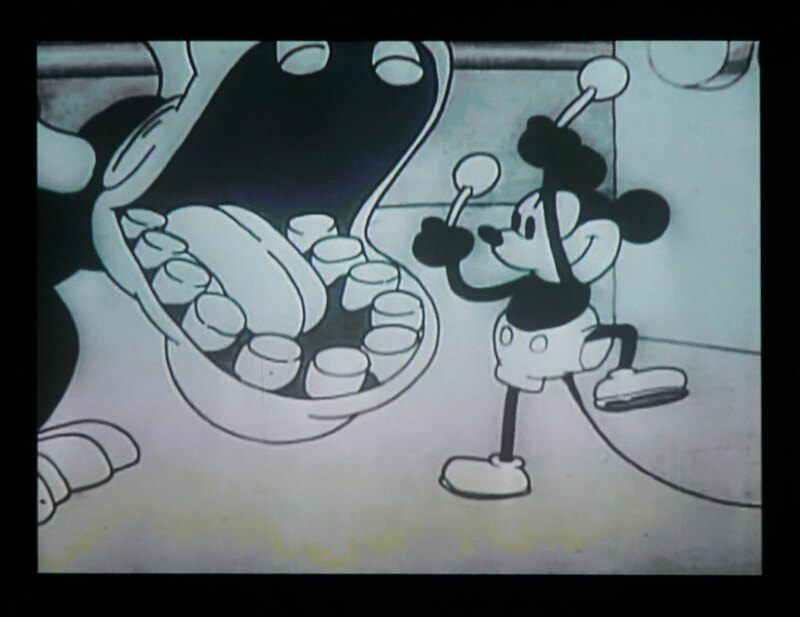 They may well have indeed been showing Steamboat Willie much earlier. 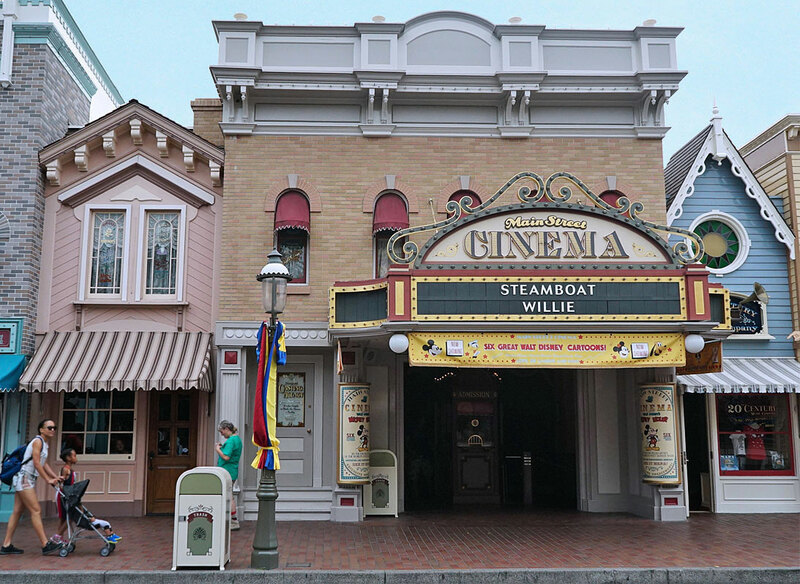 And come to think of it, I'm pretty sure I saw Steamboat Willie playing there before the 80s as well. So I've gone and changed that caption. Okay, now that you mention it, I vaguely, maybe, sorta, kinda remember the other screens being live action comedy shorts. Maybe. But of course, my eye was drawn to the cartoon (Steamboat Willie) so I don't really know for sure. WDW has the Art of Disney in this space. 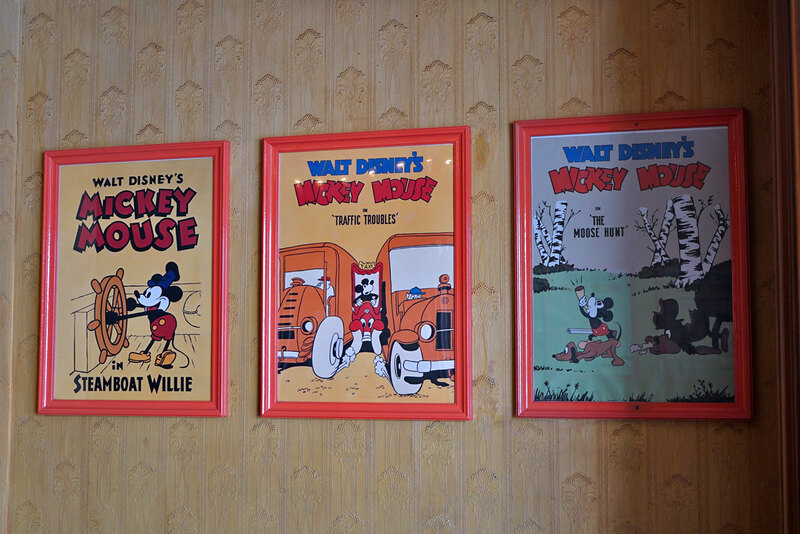 I think Disneyland wins with this one because I would love to watch classic cartoons in a Disney park all day! Awesome report! I was about to make this same exact comment and point. The other three movie posters hanging in the entry way. 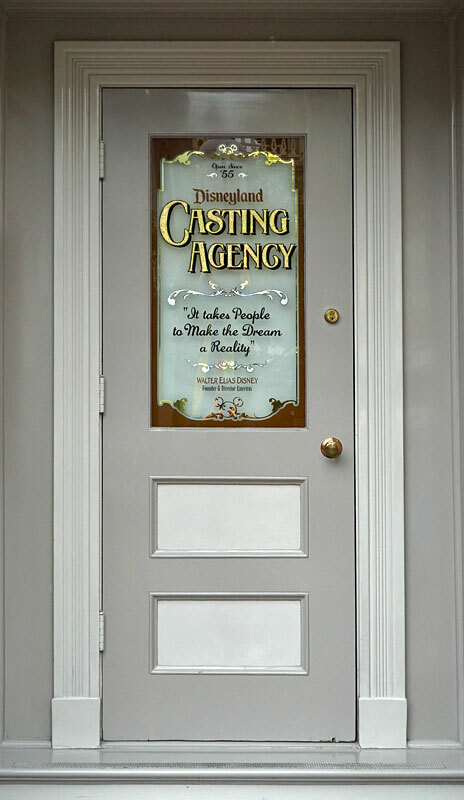 I've never heard of this before (The Casting Agency newspaper). Is this (or was this) a regular publication or a one-off kinda thing? They all reference Disney attractions or movies of course, and some of the 'ads' are definitely tongue-in-cheek. But some appear to be legit, like the ad for Plains Indians. I like the 'Alice' ad: "Singing, dancing and shrinking abilities a plus." I think I could play the doorknob. I've never heard of this before (The Casting Agency newspaper). Is this (or was this) a regular publication or a one-off kinda thing? It's a fictitious newspaper, created as window dressing for the cinema. All photos are taken by me unless otherwise specified.